Deputy AfD Federal Chairman Georg Pazderski criticized the minister’s plans to tie up resources in the development of uniforms for pregnant soldiers, as opposed to tackling more pressing matters which directly threaten the combat readiness of the German military. "While the majority of the Bundeswehr's equipment is not operational, von der Leyen is dedicated to the development of uniforms for pregnant female soldiers. A test of 500 uniforms in different sizes and characteristics struck with 650,000 euros to book, from the field clothing on service suits to tights,” Mr. Pazderski was quoted as saying on April 4 by an official party press release. He went on to describe Minister von der Leyen’s priorities as “wrong,” and questioned the purpose of her initiatives, as pregnant women are unlikely to serve on the battlefields. “Who sends pregnant women to war? The minister [Ursula von der Leyen] still sets the wrong priorities,” the deputy AfD chairman added. "It is incomprehensible how such an important task could once again be left to a person like Ursula von der Leyen, who has repeatedly proven her incompetence in recent years. 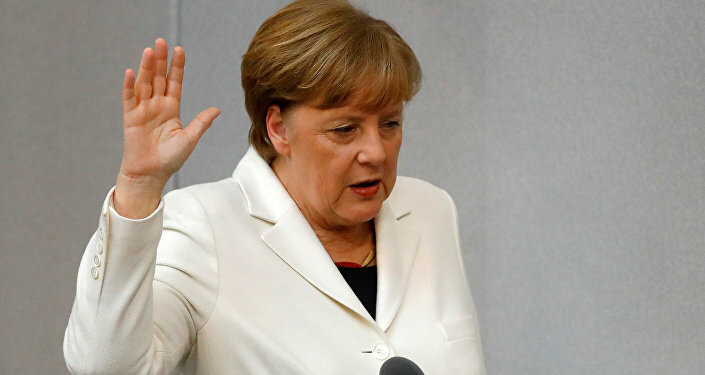 This once again illustrates the low significance of Germany's security for Chancellor Merkel." Mr. Pazderski – a former colonel in the Bundeswehr – concluded by reaffirming his party’s commitment to modernizing the country's military to enable it to successfully tackle threats to Germany’s national security. Plans by the federal government to modernize Germany’s Armed Forces and increase the number of active military personnel in its ranks are already underway. Reports citing Germany’s Ministry of Defense earlier this month warned of the poor and “outdated” state of the air force’s fleet of Tornado combat jets. Defense Minister von der Leyen – who is the only woman to ever hold the position – previously said that the Tornados are likely to remain in operation until 2035, before a suitable alternative can be decided upon and acquired.